Former Visit London commercial director and England 2018 technical consultant, David Hornby has weighed into the debate surrounding the Olympic Stadium legacy decision. 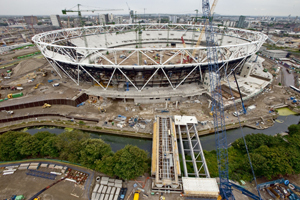 The Olympic Park Legacy Company has postponed its decision on the preferred bid for the Stadium post 2012. Writing exclusively for C&IT, Hornby believes football should have been taken seriously as a legacy option as soon the original plans for an athletics-focused 25,000-seat stadium were scrapped, leaving a 60,000-seat use as the only viable alternative. "When no anchor tenant or business partners were forthcoming, this athletics legacy promise for the stadium should have been rethought and alternatives discussed. That debate never happened. Now, West Ham has been left vying to keep a promise to stage an unsustainable sport at the expense of every football supporter’s match-day experience," Hornby said. "There is no sport in the world that can sustain a stadium of 60,000 seats better than football. But as with any event, you can’t have a 45-metre distance between an audience and the action. That’s what we’ll have if athletics remains incorporated in the legacy plans for the Olympic Stadium – a 45-metre distance between the goal and the nearest spectator seat. "White elephants are created when Olympic bid book plans are not allowed to evolve within a changing landscape," he continued. "The bid, which has the spectator experience and a sustainable future for the Olympic Stadium at its heart is, in my view, the only clear-cut choice. But whichever football club gets the nod, it should not distract from asking, "why wasn’t football invited to the 2012 legacy table sooner?" To read the full blog entitled, ‘The Olympic Stadium legacy choice must not handcuff football or hamstring athletics’, click here.